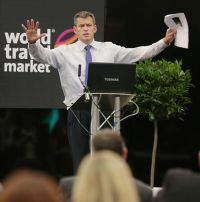 For 2013, there will be much more to entice those involved in business travel when WTM's sister event, Business Travel Market (BTM) is co-located alongside for the last two days. This will see many airlines and other suppliers have a presence that normally do not at WTM. The move was announced just prior to WTM’s opening. (See BTN 29 October). The strategy is that BTM would serve the market better alongside WTM in November with many attendees involved in business travel anyway. BTM hosts Europe's most important and high spending business travel managers from the corporate sector, an audience that complements the travel trade attendees to WTM. A well attended presentation was made on the Wednesday at which BTM Director Paul Robin said that the indications were that the major players would participate seeing real value for money with the two shows side by side. He noted that the significant growth of the travel technology area demonstrated what could be achieved with the creation of integrated show partnerships. From a business travel point of view the last day of the show created the most interest with the “Talk Business” session. easyjet CEO Carolyn McCall spoke to a crowded forum about the need for a 20-30 year transport infrastructure plan for the UK, not one that just focused on Heathrow. She said there was too much emphasis on the question of London’s hub airport and not enough on the southeast as a whole and on rail infrastructure. “This country needs a 20-30 year road map for transport where aviation is integrated with other links and that is what has been lacking for a long time”, she said. Clearly enjoying her two years since taking over at the Luton-based airline Ms McCall revealed the carrier is in talks with Moscow-based Transaero as it prepares to launch services to the Russian capital. Transaero is already on the London – Moscow route with twice daily Heathrow – Domodedovo flights. She acknowledged that marketing the operation in Russia will be more difficult. The easyJet Bistro menu will presumably be in sterling, Euros and Roubles. Visas are another problem for an airline whose routes are predominately within the EU, and EU border control participating countries. She said: “A lot of people didn’t believe we could get Moscow. It shows we have come a long way”. “London – Moscow is a very established, traditional business route: more than half the passengers will be business travellers. But the CAA would not have awarded it to us if it didn’t think we could serve business passengers from Gatwick”. And she added: “We are mindful that the Russian market is very different [and] Moscow is a different model. We are working with Transaero. We have done a lot of work [in preparation] and we will make sure we get it right”. McCall defended easyJet’s withdrawal from Madrid where it based eight aircraft and more than 300 crew until this month, saying: “When we went in [to Madrid] five years ago the market was very different. Spain was not in crisis”. 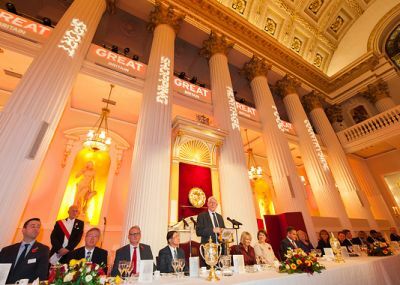 However, she said: “Spain is an inbound market – 80% of the traffic is coming in when most of our markets are outbound. We still serve Spain very well – we will bring 12m passengers a year to Spain. But we will base the aircraft elsewhere where they will be more profitable”. Asked by BTN where easyJet was with the allocated seat roll-out she confirmed that the product up-grade should be complete at the end of the month. She also said that easyJet was looking for new equipment and seriously evaluating Airbus, Boeing and Bombardier offerings. Another Talk Business speaker was Martin Glenn, who encouraged travel to “innovate big”. Martin Glenn is Chief Executive of Iglo Group, which includes Birdseye frozen food. He said that while the industry was often advised to tweak and monitor results because of tight margins, especially in areas such as technology investment, it was better not to make small, sudden changes because this ends up fragmenting ideas and taking longer. Glenn, who said he was solely responsible for innovation within his organisation, added that travel needed ultimately to address its cost structures to break out of the cycle of tight margins and lack of investment in innovation. Social media was also a big theme. A full session during WTM heard that social media has not changed the basic rules of handling crisis situations and needed to be treated with equal importance as other communication channels. Travel journalist Jeremy Skidmore and Siren Communications’ Sarah Rathbone told another big audience that taking things seriously, showing you are working hard and well prepared and having designated spokespeople was key. Blogging featured this year as well. Oliver Gradwell, Director and founder of Travel Bloggers Unite, said travel bloggers can offer “an extraordinary blend of promotional exposure” on trips. “They offer the ‘Holy Trinity’ of promotion: pre-departure, during the trip, and after the trip,” he said. 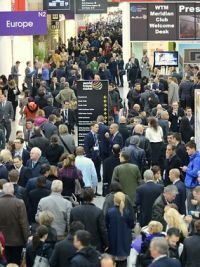 WTM returns next year 4th to the 7th November 2013, once again at Excel.